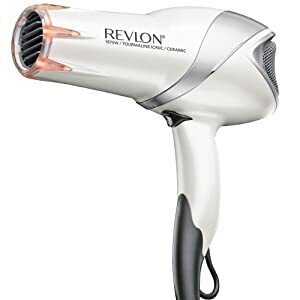 The Revlon Pro Collection Salon 1875 Watt Infrared Hair Dryer creates unforgettably beautiful blowouts! Designed with Infrared Heat Technology which taps into your hair’s natural moisture and prevents over-drying while delivering maximum shine. 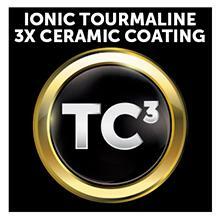 This dryer combines three layers of Ceramic Coating for less heat damage. 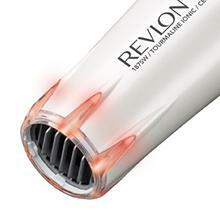 Boosted with Tourmaline Ionic Technology, for beautiful shine and smooth results. This dryer provide complete drying and styling flexibility with 2 heat, 2 Speed Settings and Cool Shot Button to lock in your style. The Smoothing Concentrator Attachment and Volumizing Finger Diffuser give you maximum precision for truly customized hairstyles. Faster Styling, Maximum Shine & Frizz free results. 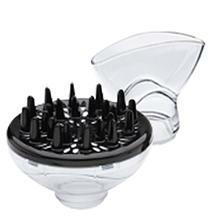 Concentrator: For precise styling or drying. Diffuser: Softens airflow to enhance natural curls and waves. For less damage, faster drying and to boost shine.